Some bloggers seem to have all the luck. They get way more shares than you. They get tons more email subscribers than you. They get much higher search rankings than you. Because their content is good, but it’s not great. Certainly it’s not that much better than yours. Why is their content so much more successful than yours? The difference is in the way they promote it. From the day you started your blog, you have been lectured many times on the importance of good content. Time and time again you’ve been told you must create high-quality content. Awesome content. Even epic content. But smart bloggers know that while quality is important, it’s just one piece of the content puzzle. In fact – and prepare to be shocked – it’s not even the most important piece of the puzzle. Don’t believe me? Ask yourself: who gets more traffic – the blogger who’s great at writing and good at promotion, or the blogger who’s good at writing and great at promotion? The answer should be obvious. The blogger who’s great at promotion will run circles around the talented writer every time. Consider this: the New York Times doesn’t publish a list of best books. They publish a list of best-selling books. See the difference? It’s all about promotion. When the average blogger thinks about content, they usually think in terms of blog posts. And they often don’t consider at all how readers first encounter those posts. The boss blogger, however, knows how to combine promotion tactics and content formats for maximum effect. Email and social allow you to stay connected to your audience. Social and search enable discovery, bringing new traffic and subscribers. Search and email give you consistent visibility with your readers. 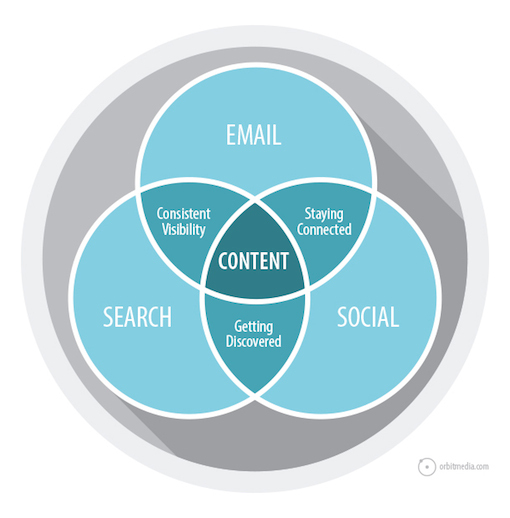 Content is at the heart of all three channels, but you can’t just push out the same content in each. Different formats work better in different places. Long-form text is good for search. Shareable images work well in social streams. So a boss blogger creates assets in many formats. They’re not just creating an endless stream of 800-word blog posts. They create charts, diagrams, SlideShare presentations, downloadable PDFs, infographics, quizzes, expert interviews, whitepapers, videos and podcasts. Each asset is created with promotion in mind, knowing that different formats get traction in different channels. And each channel makes different demands on the content creator. These need headlines composed of power words that grab attention, surprise the reader, include numbers (as in, list posts), align with cultural trends or leave a curiosity gap. This requires titles and headings that align with phrases people are searching for – including complete questions and phrases – and long, detailed articles. These visual channels require evocative images that grab attention. Do this by including a person’s face and a headline or subheadline from the article. Be sure to size images appropriately for each network. If you want a single piece of content to get traction in several channels, combine tactics. 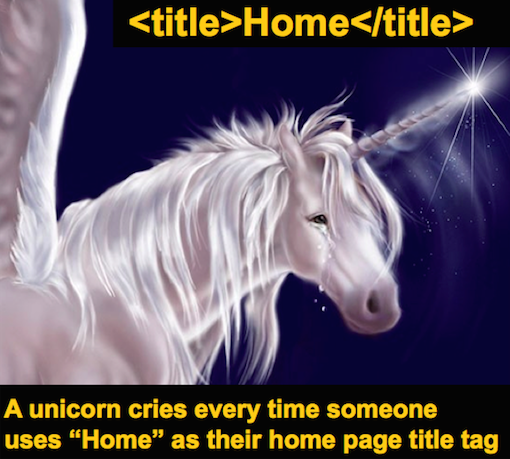 Use provocative images with embedded headlines as the featured image in a post. Then embed a video with a striking thumbnail image or a slideshow with a compelling title slide. To create headlines that get traction in both social media and SEO, use a colon to separate the search-friendly keyword from the social-friendly click bait. This gives you good key-phrase prominence (phrase appears at the beginning of the title) but still lets you leverage human psychology in the rest of the headline/title. Each of these was effective in both search and social. So, are you publishing in different formats? 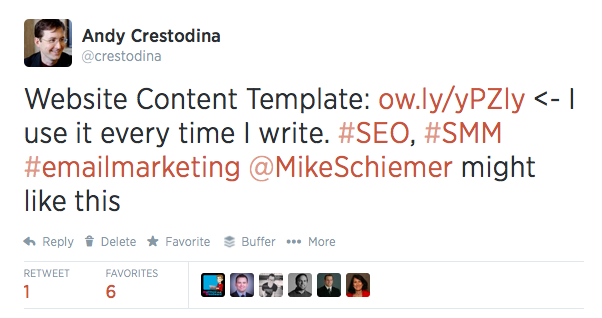 Are you tailoring each piece of content for each specific channel? Boss bloggers are power networkers. They know that the difference between a popular blog and a deserted blog is relationships. So they’re constantly using their blogs as tools to connect with other people. Want to build relationships with influencers? Invite people over, have a conversation and deepen those connections. If the website is a house, the blog is the living room. Take a stand. Rant a little. State an opinion and invite dissent. Start discussions that power players will be unable to resist joining. Move the conversation from the blog into social media and vice versa. 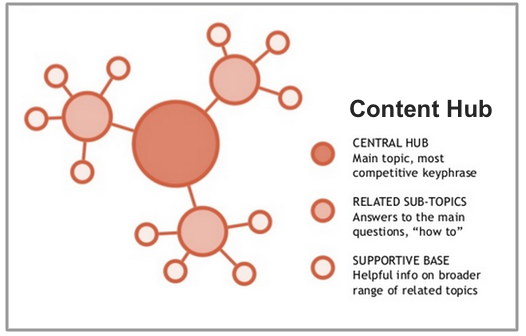 Source topics from relevant communities on social media: LinkedIn, Facebook, Twitter and Quora. Intentionally focus on communities where your target influencers are known to hang out. Write detailed, thoughtful comments. Share half-formed ideas and ask for input. Talk to people in the comments of their blogs. Write response posts, adding to what people have written elsewhere. Most people will be flattered that their writing has inspired other people. So ask yourself: are you making friends on your blog? If not, you’re doing it wrong. 3) ABC. Always Be Collaborating. A boss blogger doesn’t work alone. They collaborate – with friends, influencers, readers, even competitors. Collaboration strengthens your affiliate network and goes beyond simple outreach because it creates bonds through content. Turn strangers into friends by including them in round-ups. 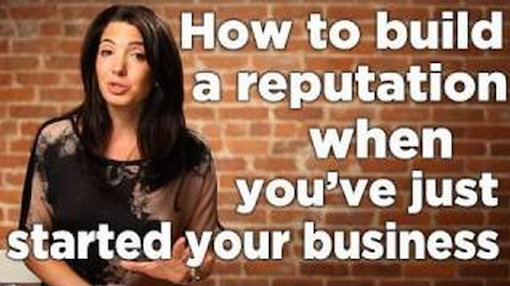 Interview the major players in your niche. Ask them to contribute a quote. The advantage of collaboration is that each co-creator is also a partner in promotion once the content goes live. And here’s a trick that most bloggers miss: get the voice of your target audience into your content. Looking to increase engagement with your readers? Come up with a content idea that would benefit from their input. Conduct a survey that puts their views and experiences at the heart of your next post. Collaboration has two huge benefits: it shares the burden of creating content easier, and it creates allies when it comes time to promote the content. This post is part of a series where we ask questions to influencers on various topics. 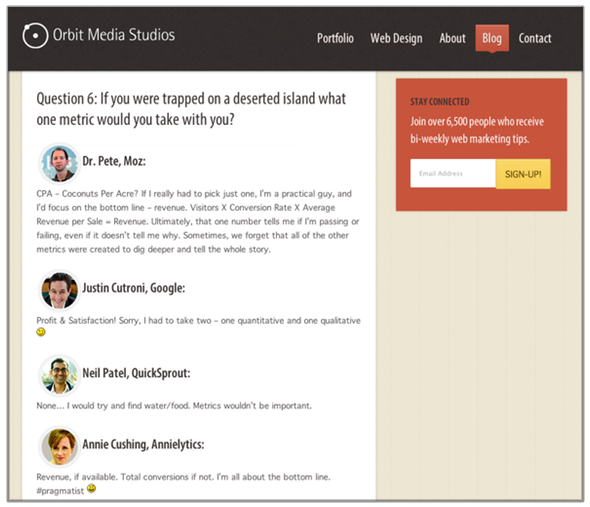 This post included input from Justin Cutroni (Google), Neil Patel (QuickSprout) and Dr. Pete (MOZ). Most people love to be interviewed, so the outreach wasn’t difficult. Are you using your blog to create reasons to contact people? Remember – you’re a publisher. You can create reasons to contact people anytime. Big results come from big efforts. 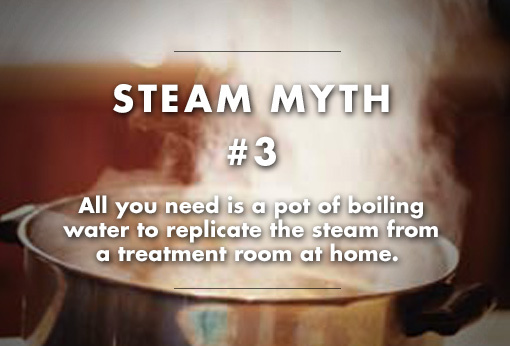 The pros know this well. Example: Survey of 1000+ Bloggers. 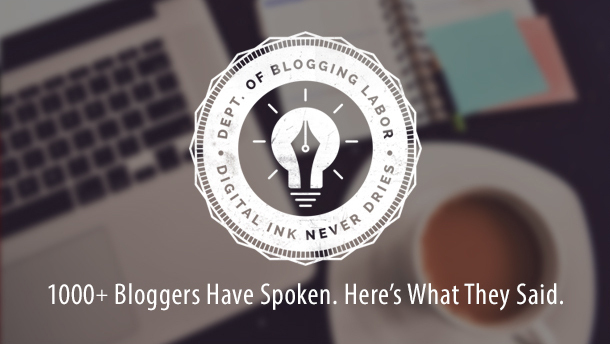 But boss bloggers know this, and when other bloggers zig, they zag. So they go big. They know that content that goes way beyond what’s expected gets more traction than a dozen medium-quality posts. Content that’s more detailed, more comprehensive, or simply asks the questions no one else took the time to ask cuts through the noise created by less-ambitious content. Do a survey of a large number of people in your industry. Collect data over a long date range and publish the insights you discover. Publish a guide that explains every aspect of an important topic. Build an interactive tool that helps your audience make important decisions. Do a series of live webinars. Write and self-publish a book. Bigger content is far easier to promote. It’s more worthy of shares, links, opens and clicks. Bigger content also gives you an advantage for longer. Because content that is harder to create is also harder to replicate. The Internet is ravenous for originality. So feed that appetite with original research. At Orbit Media, we spent around 100 hours to create an original piece of research that answered big questions in our industry. How much time do people spend blogging? What percentage of bloggers use editors? How are people promoting their content? The post was covered by some of the biggest blogs and podcasts in the industry and has been translated into four languages. So are you creating something truly original? Are you investing enough time in your content? Most bloggers publish a steady stream of loosely connected posts. Each week they take an idea, write it up and publish. The next week? Another idea. Even if they stick to a strict publishing calendar, they end up with a collection of posts with no underlying strategy. The posts may relate to each other, but then again, they may not. It’s mostly down to luck. The boss blogger takes a different approach. They start with a plan to dominate a topic within their niche and then systematically create the posts (and other types of content) required to make it happen. By staying focused on the topic for longer, they get bigger, and profitable benefits in their blog. They don’t create isolated posts; they create interconnected hubs of content. The key phrases they target are interrelated, so they support each other. The connections they build with influencers stay relevant to their content for longer. The most recent subscribers to their lists are more likely to be interested in subsequent posts because there’s topic continuity. They have better opportunities for internal linking between posts. And they don’t move on to the next topic until they reach the minimum amount of content and connections to be truly influential on that subject. First, we created a detailed, practical post and aligned it with a valuable key phrase. Then we published an infographic and five guest posts on similar topics. After several weeks of hard work and focus, the post ranks on page one, above many famous and authoritative websites. With the hub built, Google now does most of the hard work of promoting the content within the hub. Pretty cool, huh? So are you focusing on one topic long enough to get real results before moving on? Are you creating a deliberate structure between your posts and the rest of the content on your blog? Most bloggers look at their traffic stats, smile or frown, and then move on. But they’re not doing real analysis. They’re certainly not using the data to guide their next move. The boss blogger, on the other hand, knows that analytics is not a scoreboard – it’s a decision support tool. They learn which posts are traffic champions and which posts are conversion champions, and they know how to use one to promote the other. They know which social networks pull in what kinds of visitors, and they adjust their promotional activities on those networks accordingly. They know which topics get traction, which keywords get clicked, which formats work best, and they use that information to create content that is already optimized for promotion. If you’re not currently using analytics, you’re blogging in the dark. And if you’re using analytics simply to keep score, you’re missing a huge opportunity – the ongoing improvement of your blog and its promotion. A process based on trials, testing and a regular review of analytics. So, are you making decisions based on data? Do you know what’s working and what isn’t? Are you truly analyzing the performance of your content? 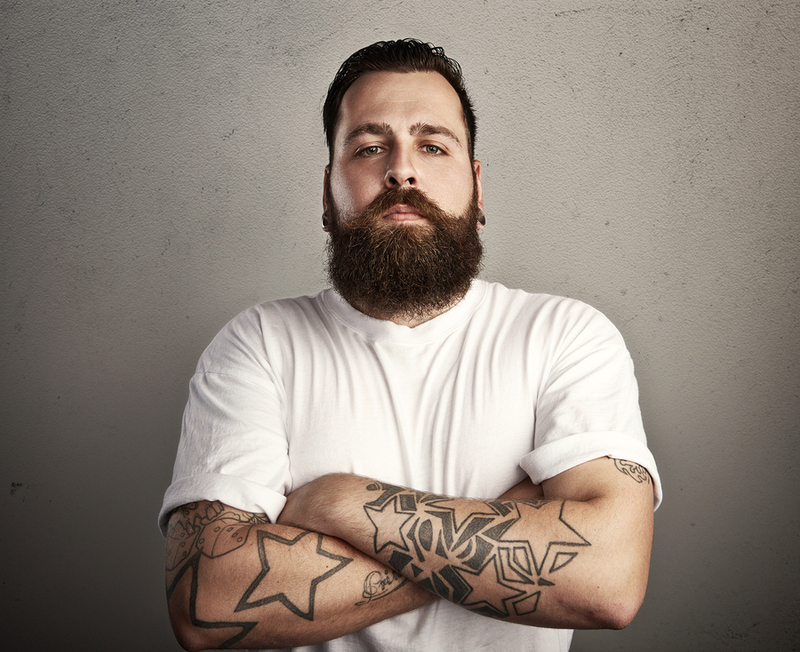 Are You Ready to Start Thinking Like a Boss? In a crowded blogosphere, great content isn’t enough. You need great promotion too. That’s why popular bloggers are as serious about promoting their content as they are about creating it in the first place. They think long term. They aren’t limited to one tactic. They focus on relationships. They make decisions based on evidence. Because that’s how a boss gets it done. The hard truth is that if a blog post is created without a plan for promotion, it won’t get the traffic or the reach – or the end results – it deserves. So adopt a promotion-focused mindset and start taking action. The sooner you start, the sooner you’ll be the boss of your blog, your network and your niche. About the Author: Andy Crestodina is the Strategic Director of Orbit Media, a web design company in Chicago. He’s also the author of Content Chemistry, An Illustrated Guide to Content Marketing You are welcome to connect with Andy on Google+ and Twitter.